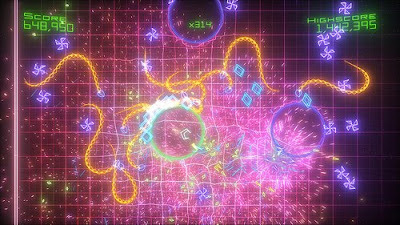 Geometry Wars 2 is one of the absolute best Xbox Live Arcade games that has come out, ever. If you don't own it then now is the time to grab a copy. It is only $5 to buy it this week. Next week it will hit normal price again. Go! Buy! Enjoy! Become Addicted! Other things as well!